This was a two day trip that involved flying two very different airplanes. One was a single pilot light jet with advanced avionics and the other was an older midsize Citation business jet. The plan was for me to fly the Cessna Citation M2, a single pilot private jet, to the Raleigh-Durham International airport for a pick up and be back in St Louis in time to fly the Citation XLS to the Chicago Midway airport. I would fly the Citation XLS back the next day. Unfortunately, the return time was an hour before the XLS flight. So, just to be on the safe side, I arranged for a part-time captain to be ready to fly the trip if it looked like I wouldn’t be back in time for the departure. I was really glad I had setup a contingency plan because as soon as I checked on with st Louis approach I head the XLS being handed off St Louis approach to Chicago center. I had missed the connection by 45 minutes. Fortunately, as a precaution, I had already purchased an airline ticket to the Chicago Midway airport. As soon as I shut down I secured he aircraft and jumped in my car getting to the St Louis airport in time to catch my Southwest Airlines flight to Chicago. The other Captain was flying back on the Airlines later that evening. I made it to Chicago, checked into the hotel and was ready for the return flight the next afternoon. This video is that two day trip with ATC, cockpit views and takeoffs and landings. Enjoy and safe travels. 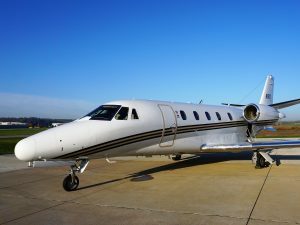 This entry was posted in cessna citation m2, cessna citation xls, vlog and tagged aircraft, airplane, aviation, cessna, cessna citation, citation m2, citation pilot, flying, pilot on December 21, 2017 by James Sorsby. This is more of an aviation vlog format for the flying video with a mix of flying, ATC and travel. Our flight started with takeoff on pretty day from the Spirit of St. Louis airport. Enroute we encountered some interesting cloud formations we flew through. Once we start our descent into the San Antonio area the weather clears again, and you get a good view of the area. San Antonio approach vectors us for a visual approach to runway 13 right and the Tower clears us to land. We taxi to the FBO which is Million Air and after securing the aircraft we are treated to fresh cookies. We have one free day in San Antonio which we use to tour the Alamo and then have lunch on the River Walk. Day three starts of with a dense fog but it clears, and we get delayed so that we eventually takeoff at night. The departure ATIS at the end of the video has an interesting NOTAM referencing a laser strike on an aircraft. The Cessna Citation Excel is a turbofan-powered, medium-sized business jet That seats eight passengers. It has a range of approximately 1,900 nm and cruises at 410 kts. This entry was posted in Uncategorized and tagged aircraft, airplane, Captmoonbeam, cessna, cessna citation, citation, flying, pilot, pilot life, pilot vlog, private jet, san antonio, texas, the alamo, vlog on December 11, 2017 by James Sorsby. Flying a private jet doesn’t mean you’re totally isolated from the airline world. At larger airports General aviation service providers, called FBO’s or Fixed Based Operators provide a variety of services to arriving and departing private aircraft. FBOs may occupy one side of the field and the airline terminal the other. At smaller airports these FBOs are often the only business selling services such as fuel, maintenance, or hanger space. Even though they may be operating on the same airport, for security reasons, private aircraft are not allowed to pick up or drop off passengers at the airline terminal. But, you may see an airliner like a Boeing 737 or an Airbus 320 in airline colors parked on the general aviation ramp. This often happens when extra space is needed for parking or the airline may be doing a special charter like flying a sports team. Often FBOs will drive passengers from private flights to the terminal or back. If an aircraft is going to be on the ground for an extended period or needs to be picked up from a service center, pilots need to be repositioned. In these cases the company will buy airline tickets for the repositioning crew. All of the video from inside 737s was taken during crew repositioning flights. Many of the airline takeoffs and landings in this video were taken from general aviation ramps. Takeoff and landing by various airliners. This entry was posted in Uncategorized and tagged 737 takeoff, 747 takeoff, airline, airliner, airliner landing, airliner takeoff, airlines, airplane, airplanes landing, airtran, american airlines, boeing 737, boeing 747, delta, flying, landing, northwest airlines, pilot, planespotting, southwest airlines, take off on February 9, 2013 by James Sorsby.